The curved screen is an economical and practical solid-liquid separation device. In the paper industry, curved screens can be used for whitewater fiber recovery, slurry concentration, spray water and seal water purification, long and short fiber grading, fiber/filler separation, white water filtration, sewage treatment, etc. 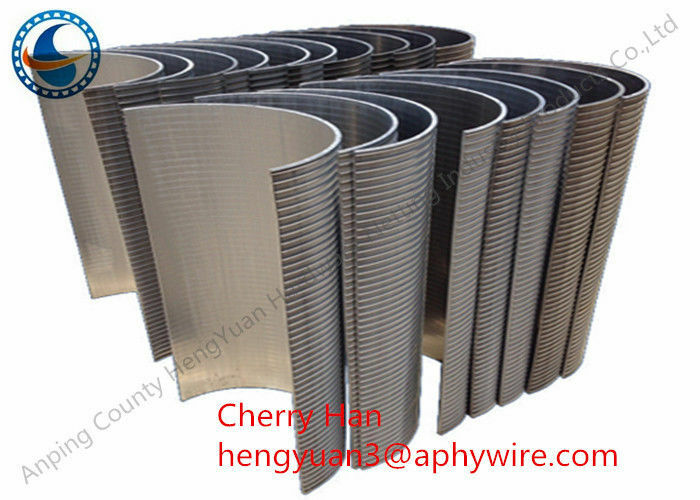 The curved screen is mainly used for pre-dehydration, de-smudging, de-intermediation and fractional slime recovery of materials in coal preparation plants and concentrating plants. It can also be used with water cyclone to effectively classify fine material. Dewatering, de-smudging and de-intermediation. The screening machine is composed of a wrap angle of 45 degrees and a radius of 60 degrees wi2030MM screen box. The curved screen surface and the screen frame adopt a pivotal special structure, which can rotate 180 degrees and extend the service life of the screen surface. The curved screen is inverted by the feeding box, the screen box, and the screen seat shaft so that the position of the feeding end and the discharging end are reversed, the uniform wear is achieved, the applicable life is extended, and the operation is flexible and convenient. And in the metallurgical, chemical and other industries have also been widely used.